I love how much Thor loves to read. Since he’s been old enough to gnaw on them, he’s liked books. And since he’s been old enough to aim a flashlight, I’ve been finding him reading under his covers. 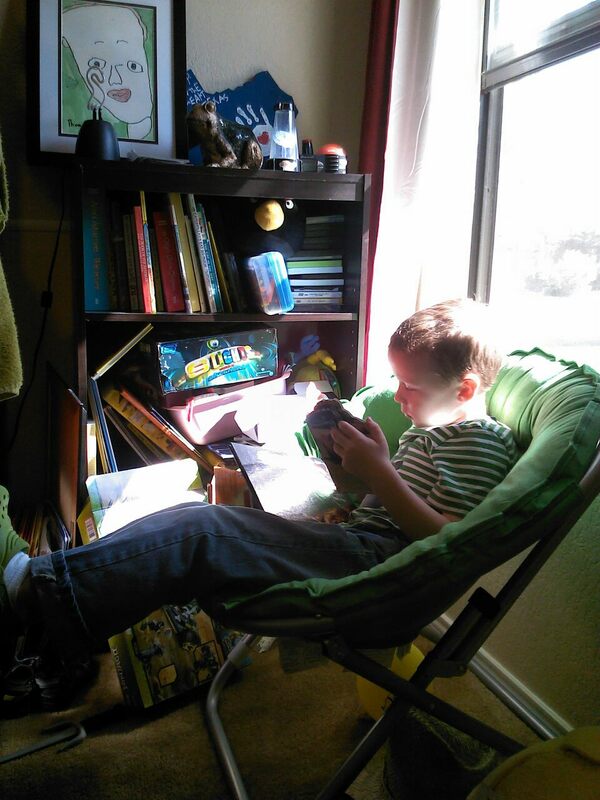 Now, he is old enough to start enjoying books I read at his age, and that’s a special delight. He’s in the middle of Henry Huggins right now, and I am enjoying his laughter and how excited he is by things he’s never really seen. Last night, he asked if we could buy a sled. God bless him. I remember wanting a sled after reading about Henry and Ribsy’s fun on one. I lived in snowy VA at the time, so a sled would have been apropos. We live in flat, dry TX. A sled would do him as much good as a speedboat. But that’s not the point. The point is that he’s learned something new through someone else’s eyes. He is learning about ways to deal with antagonists and struggle through Henry, and he is learning new ways to think his way around a problem. If you can read, you can learn to do anything. If you love to read, or at least don’t mind reading, learning is easier. It’s the one gift out of my arsenal that I’d have chosen to give him. Given how much B reads (and he reads more than I ever have, and I read a little bit every day, and now that I have a Kindle and a Kindle on my phone, I blow through books), Thor was either going to rebel and refuse to spell his own name, or he was going to be that kid with his nose in a book.